Initial investments for most funds cut to $100 from $2,500; subsequent investments reduced to $1 minimums from $500. 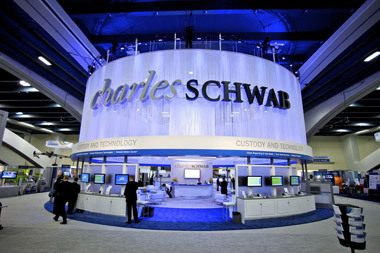 Charles Schwab (SCHW) announced Monday it is sharply reducing the minimum investments on most mutual funds on its Mutual Fund OneSource platform, many to as little as $100 from $2,500, for initial investments in brokerage, IRA and custodial accounts. Schwab also cut the minimum for subsequent investments in already established accounts for all OneSource funds from $500 to $1. Doug Hanson, a VP at Charles Schwab and head of the company’s third-party mutual fund platforms, said in an interview that lowering minimums just makes sense. “Observing trends in the mutual fund space,” whether in Schwab’s RIA business or in retirement accounts, “the concept of investment minimums were eroding.” Schwab’s own proprietary funds “have had a minimum investment of $100 for some time,” Hanson said. Hanson pointed out that in the RIA space, mutual fund companies are highly amenable to lowering or waiving minimum initial or subsequent investments in advisor-class shares. Hanson said “the burden for serving” clients using these lower minimums primarily “falls on us at Schwab,” and that the OneSource “platform economics makes it possible for us” to lower the minimums. So will there be any economic impact on the fund companies whose offerings live on the platform? “The only place where there might be an effect on funds,” Hanson said, would be that the fund companies might face higher costs for communicating with more investors in their funds, such as sending them prospectuses, though with the popularity of electronic document delivery such an effect might be minimal at worst. Referring to Monday’s announcement, Hanson said there is “no connection with Schwab Intelligent Portfolios,” and said he is “pretty confident that if it comes to the point” where mutual funds are available on the IIP platform, “it would be as a managed offering,” which would mean the mutual fund companies would “waive the minimums” for advisor clients. OneSource was launched in 1992 by Schwab with eight mutual fund companies offering more than 80 funds; it now offers access to over 500 fund families and 4,700 no-load, no-transaction fee mutual funds. OneSource grew out of Schwab’s Mutual Fund Marketplace, which was launched in 1984 just as the independent advisor movement was taking off; it offered both no-load and load funds with transaction fees. In its latest activity report for the month ended Oct. 30, Schwab reported total client assets of $2.54 trillion, up 4% from October 2014 and up 5% from September 2015, with net new assets in the month of $10.5 billion. In its most recent quarterly results, Schwab said its overall client assets of $2.4 trillion were flat compared to the third quarter of 2014. About $1.3 trillion is held by clients in retail accounts at Schwab Investor Services, with $1.1 trillion held in accounts at its RIA custodial division, Schwab Advisor Services. Total client assets in Schwab Intelligent Portfolios, the company’s robo-advisor service, rose by $1.1 billion from Q2 to $4.1 billion as of Sept. 30. The company launched the retail version of its all-ETF digital advice platform in March 2015; the RIA version, Schwab Institutional Intelligent Portfolios, was launched in June of this year.